Makassar, known before as Ujung Pandang, is the fifth largest city in Indonesia and the provincial capital of South Sulawesi. This multi-cultured and most populous city on Sulawesi is located on the southwest coast of the Sulawesi Island. 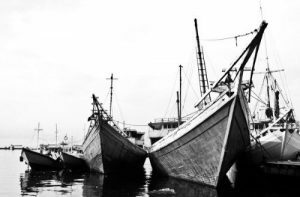 People of Makassar are known as great seafarers, who in the past have sailed through many oceans. Some source even mentions they have sailed to as far as China using their famed boat, the Pinisi. Starting from the 16th century, Makassar was the predominant trade hub in the eastern part of Indonesia that deals mostly in spices and exotic goods until they were colonized by the Dutch. The Dutch controls the major ports and markets around Sulawesi and neighboring Maluku Island through coercion and conquest, creating a monopoly of the spice trade in the area. Before the monopoly, many traders from all over the region flocked in Makassar, some even came from as far as Arabia and China. After the monopoly, most of the traders had dispersed for they cannot compete with the monopoly that the Dutch had. Still, Makassar remained as the most prominent city in the Sulawesi. 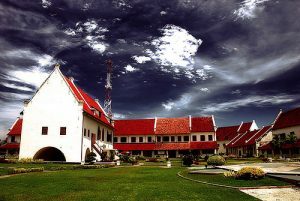 Joseph Conrad, a great Polish-British novelist, once described Makassar as “the prettiest and perhaps, cleanest looking of all the town in the islands”. Makassar is also a major fishing center in Sulawesi with the sea cucumber as their primary catch. The climate of this city is the tropical monsoon climate, and as such, can be pretty hot and humid during the dry season. Makassar have a lot of interesting places to visit. 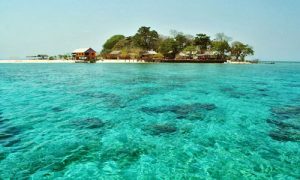 If you plan on visiting this jewel in the eastern Indonesia, don’t forget to visit these places as they will certainly bring new, unforgettable experience. Bonie in the west, named after Bone State. Buton in the northwest, named after Buton Island. Batjang in the southwest, named after Bacan Islands. Amboina to the southeast, named after Ambon, the capital of Maluku. The sixth bastion, Ravelin, is already destroyed and not visible anymore. The fort houses 13 buildings with a church in the middle, and most of the buildings are still in a good condition. Because of the fort’s tip-top shape, it has become a major tourists destination in Makassar ever since. In the present day, tourists can visit the La Galigo museum inside the complex, where they can learn about Makassar history in great details. The museum also holds a lot of ancient Makassar artifacts, from weapons, coins, utensils, to scale models of the Pinisi boat. On the eastern wall, there is a library inside the barrack that features ancient scripts and V.O.C’s – the Dutch trading company – ship logs. There is also a conservatory for music and dance which held various events regularly inside the fort. 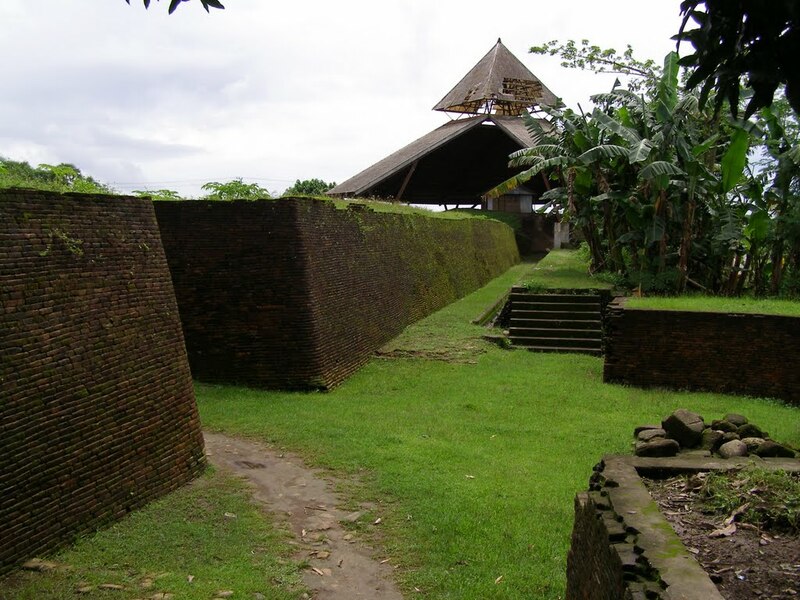 This fortress started out as a fortified commercial trade center in the middle of Gowa Kingdom. 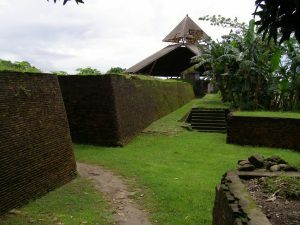 Built to anticipate the Dutch colonization and threats, this fortress proves to be the most difficult conquest of the Dutch colonials in Sulawesi. In 1669, the V.O.C join forces with Gowa Kingdom’s arch rival, the Bugis led by Arung Palakka, in order to mount an assault against the heavily defended fort. The Sombaopu fortress employs a heavy weaponry comparable to the Dutch forces: 33 units of a 46.000 pounds cannon, 11 units of a 24.000 pounds cannon, 60 muskets, 145 small guns, 23 arquebuses, 127 barrels of gunpowder and 8.483 bullets. After a hard-fought battle, the Makassar army led by Sultan Hassanudin were forced to retreat due to a fire created by the Dutch and Bugis troops. The victors quickly ransacked and destroyed the whole fort and its armaments, leaving nothing behind. After the destruction, Indonesian government rediscovered Sombaopu in 1980 and it has undergone a reconstruction process in 1990. Several artifacts, such as the 9-meter cannon has been discovered around the vicinity, as well as other important artifacts around the area. Now, Sombaopu serves as a reminder of the brave heroes who fight against the Dutch colonials in the past. It has become a major tourist attraction in Makassar for people who want to pay their respects to the brave soldiers who fight in this place. As the world’s third largest indoor theme park, Trans World Studio features 22 entertaining rides and attractions with a capacity of 5000 people. PT. 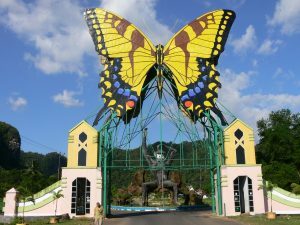 Trans Kalla built this indoor theme park in an area that spanned over 12.7 hectares with a 20 meter-high building. It is a part of the massive property development project which encompasses the construction of a shopping mall, hotel, residential area, recreational beach, and office all in one place. 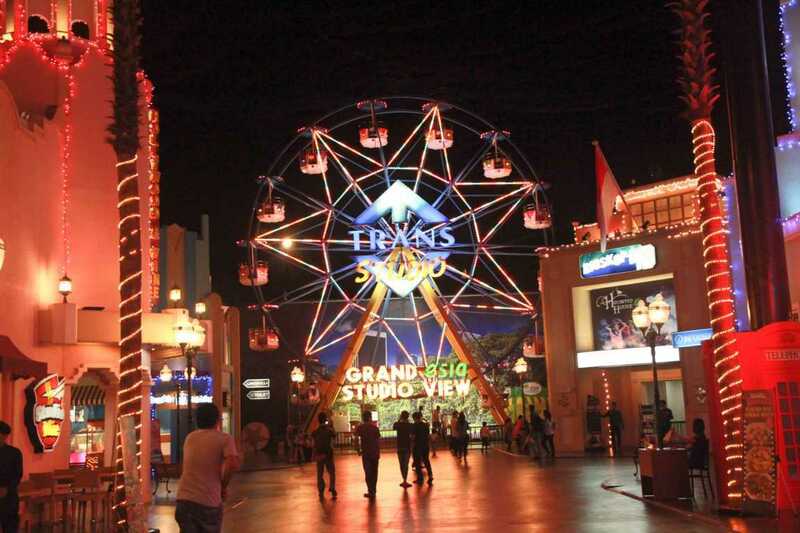 Most of the rides in the Trans Studio World offers an opportunity to feel the sensation of becoming a star of the hottest television show from the TransTV and Trans 7 channel, in addition to normal theme park rides such as roller coaster, carousel, etc. For example, the Dunia Lain attraction features a ghost house based on the horror TV show of the same name. Hollywood Bumper Car – everybody’s favorite with Hollywood-themed cars and decorations. Flying Bicycle – a carousel that could go up and down. Si Bolang – an adventure through the natural beauty of Indonesia. 4D cinema – an impressive theater showing the best 4D technology. Giant Swing – a spinning giant swing. Magic Thunder Coaster – a roller-coaster with amazing slopes and curls. The entertainment firm behind great names such as Universal Studio and Six Flags is the lead designer of Trans Studio World. That is why every ride in Trans Studio World are extremely appealing and thrilling for all ages. It is never a bad idea to come and see the best indoor theme park in Asia with your family. 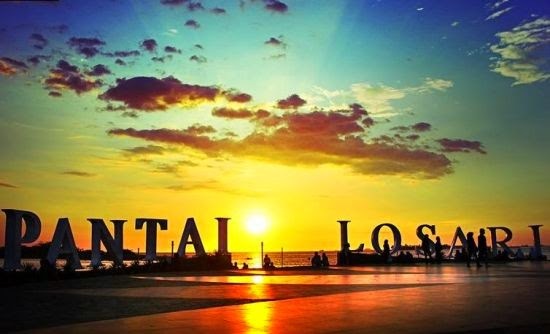 Losari beach is the famous icon of Makassar city, and for a good reason. The beach is exceptionally beautiful and enchanting with a clear and relaxed atmosphere. Many people come to this beach to enjoy the impressive view or just strolling around the beach. The government has built the infrastructure around this beach, such as benches, pathways, etc. which increases the attractiveness of this beach to the public. In the past, Losari is known as the world’s longest dining table for there are so many food stalls and tents along the shore. Although it’s somewhat effective to increase the number of visitors, in the long run, it’s more harmful than useful. This is because too many tents reduce the aesthetic level of the beach itself. Not to mention the rubbish they left behind on the sands. That is why the government decides to move all the stalls to a nearby place. 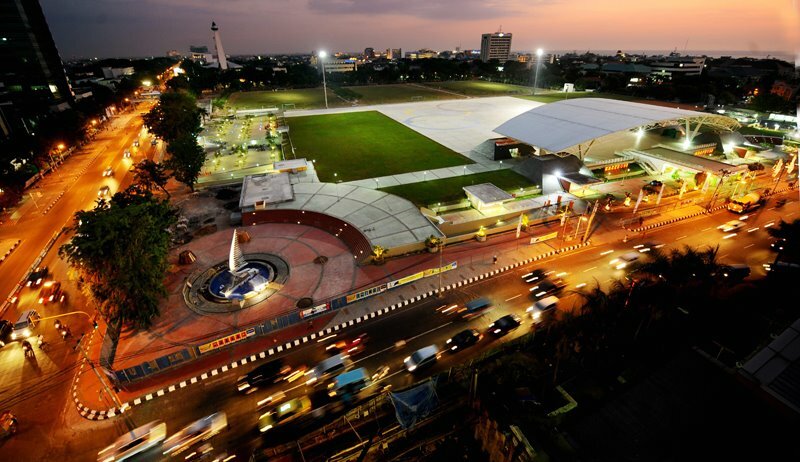 Nowadays, Losari has grown into a major tourist destination in Makassar. With so many inns and hotels along the coast, visitors should have an easy time getting an accommodation around here. There are also a lot of other entertainment venues along the Penghibur street which is quite near the beach. Akarena is a beautiful beach with dark sand colors. Located about five kilometers away from the Makassar city center, Akarena is built to be a family recreation center in 1998. Tourists can try watersport activities such as the jet ski, banana boat, and others, or just leisure around the shore. Enjoy some snacks from the food stalls, such as fried bananas and cassavas, to accompany you while enjoying the beach. 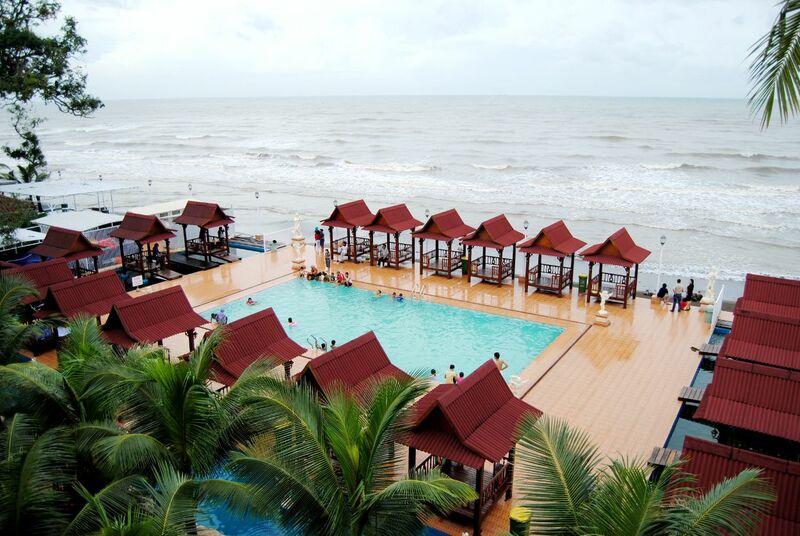 Akarena beach’s operational hours is from 07.00 to 22.00 on weekdays, or 06.00 to 23.00 on holidays. Visitors also need to pay admission of Rp.10.000,00 to enter here. The pristine white sands and clear blue water are the main attractions of Lae Lae Island. The island itself is situated off the coast of Makassar, and visitors could reach it by speedboat. The length of the journey should take around 10-15 minutes. One of the things that make this island unique is the square shape when seen from above. Lae Lae Island was occupied by Japanese forces during World War II. As such, there are several remnants of the Japanese army around this island. According to some gossip, there is an unused underground tunnel that leads to the Fort Rotterdam from this island. This island is also an excellent spot for snorkeling, as there are a lot of coral reefs around the area. 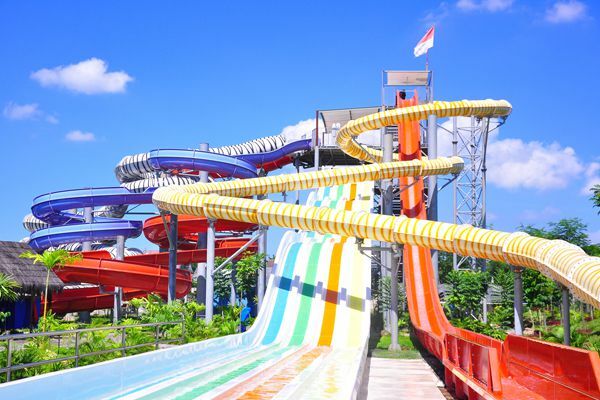 As the first and largest water recreation park in the eastern Indonesia, Bugis Waterpark surely has a lot to offers. There are around 10 unique attractions divided into 3 main zones, and all of them are amazing. To represent the local culture, all of the rides in this place were named using the Bugis language. For example, the rafting slide was called Lopi Wae, and the flowing river was called Wae Massolo. This place can be very crowded during weekends, so it’s better if you plan your visit here accordingly. The location of this marine park is south of Sulawesi Island, near the Flores Sea. Taka Bonerate is extremely vast, covering an area of 530,765 hectares with an atoll expanse of 220,000 hectares. The coral reefs in this area are massive and filled with wonderful marine lifeforms. This makes a lot of great diving spots around this area. There are 21 islands in Taka Bonerate, but only 8 of them are inhabited. It is a perfect opportunity to visit those empty islands to enjoy nature without any interruption from other people. As a result, it’s also best suit for honeymoon or those couples who wants some more love. This park contains a very large karst area, second only to the one in the south-eastern part of China. There are 286 caves all across this national park, and some of them are from the pre-historic era. Since the park is located between the Asian and Australian zone, there are a lot of species that is unique and endemic to this area. For example the couscous, the Sulawesi Palm Civet, the pot-bellied wild boar, the knobbed hornbill, and the Tarsius fuscus. 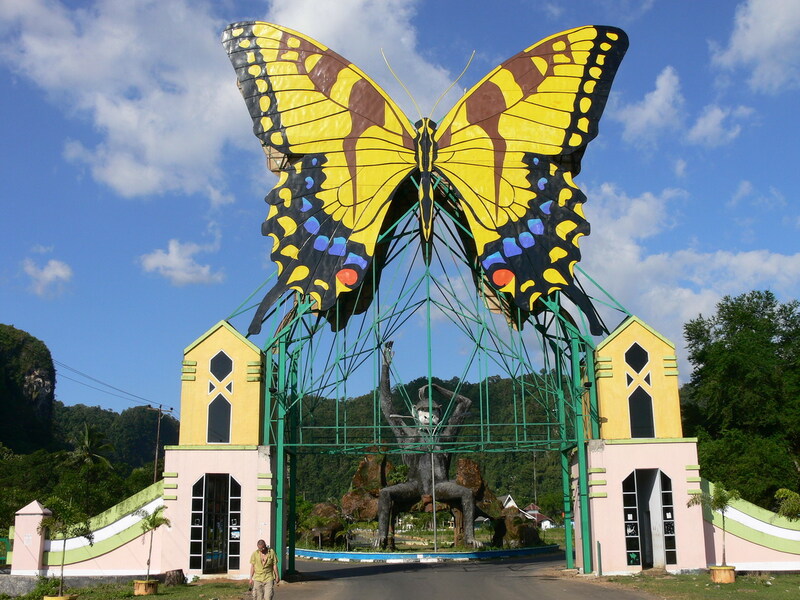 Bantimurung-Bulusaurung is the home to many species of butterflies. The British explorer and naturalist found at least 256 new species of butterflies during his exploration in 1857. The number of butterflies in this area are so astonishing that it tempts many domestic visitors and locals to capture and exploit them in a quite large-scale. This irresponsible behavior has led the government to impose a special ban to restrict these informal trade and instead focusing on the preservation of the butterfly ecosystem as a natural attraction. 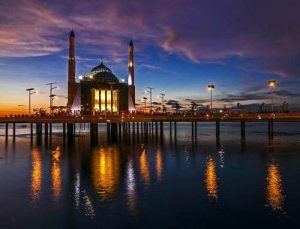 Enjoy the fine coastal view from this magnificent floating mosque near the southern end of Losari Beach. Amirul Mukminin Mosque is the first mosque in Indonesia that “floats” on the water, a unique trait which leads the mosque into becoming one the famed icon of the Makassar city. The mosque itself possess a twin dome with twin towers which give a unique, distinct look compared to other mosques. Because of the fine scenery, Amirul Mukminin is the most popular place for Makassarese people to break the fast during Ramadhan. 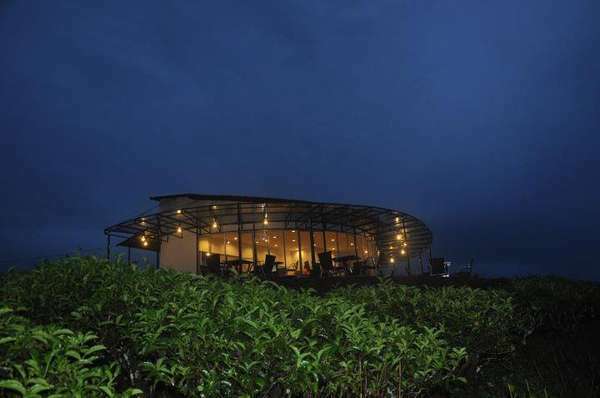 Visitors can enjoy the refreshing breeze in this vast tea fields accompanied with a cup of hot tea. The lush and lively green landscape offers an amazing view that will surely soothe your mind and soul. There is a waterfall not far from the highland that you can visit. These chain of uninhabited islands is perfect for scuba diving and snorkeling. Sparkling blue water and fine smooth sands offer an unforgettable traveling experience if you visit this place. Another great diving spot and snorkeling, this island possess an exceptionally beautiful scenery coupled with clear blue skies and water. This bustling harbor is located 4 km north of the Makassar city. You can see myriads of activity in this area, from fish auctions to docking process. Things to do in Makassar Indonesia. At first, this place wasn’t so popular among tourists. Even the locals rarely come to this place. However, the local government develops and improves the area by building a hotel, resort, and outbound activities. Located right underneath the Makassar city center, the Karebosi Field, this shopping mall houses a number of phone shops, computer, clothing, restaurant, and supermarket. Perfect for you who want to go shopping and find some unique souvenir to bring home with you. Thus, there are more fun things to do in Makassar Indonesia that you can chill with your family, friends, or lovers. 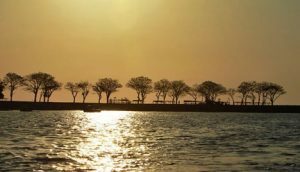 Now that you’ve known all the interesting places to visit in Makassar, you will probably need these tips to be remembered as it might come in handy. Getting around in Makassar is pretty easy, there’s a lot of mini-buses called pete-pete in this city. Pete-pete is basically a Makassarese version of angkot. You should ask the driver for the route if you’re not sure which one to take. Most of the time they will give you a detailed explanation of which pete-pete you should ride specifically. Nowadays, there’s a lot of coffee shop in Makassar that offers a nice cup of Toraja coffee. You definitely should try a cup while sitting back and relax before starting your day. The money changer at the airport usually offer the best rates. Besides, you won’t find too many of them in the city, moreover in other remote areas. So you better exchange your money first when you arrived in the city. Don’t always buy your meals from a restaurant. Sometimes, the best cuisine in Makassar can be found in these stalls and kiosks called warung. For the best traveling experience, we suggest you try to eat the local foods this way. This may seem basic, but before you go out and start your day, you should’ve planned it better so you can choose the most effective route without wasting time on the road. Sulawesi’s climate is quite hot, so you better bring some thin clothes that provide better air circulation. Also, don’t forget to bring your hiking shoes as you might have to traverse through rough areas. Now that you know everything you need to know about Makassar, how about start booking a flight there and enjoy all those great experience? As a result, Makassar is a great big city of Indonesia, not so popular as a holiday destination yet will bring you the best experience ever. Meanwhile, there are many fun things to do in Makassar Indonesia, so let’s go hang out there!